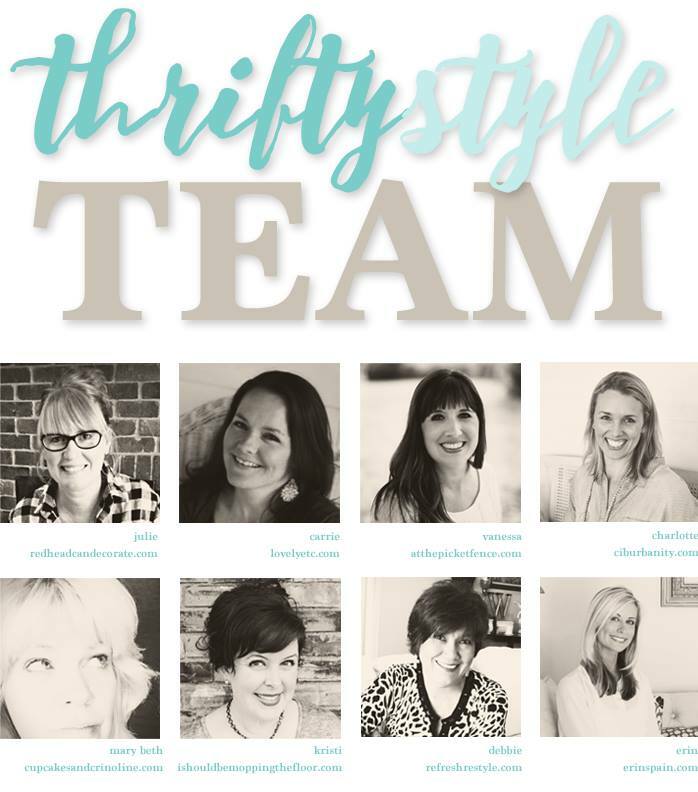 I’m thrilled to be introducing a new monthly series on the blog, featuring thrifty finds. 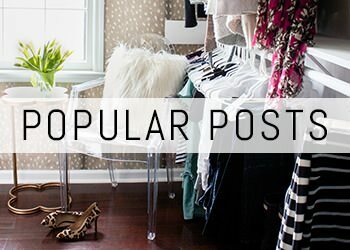 I’ve teamed up with some other amazing bloggers, and once a month we will share with you some of the thrifted items we’ve styled in our own homes. Sometimes they will be items we’ve left “as is,” and sometimes they will be made over. 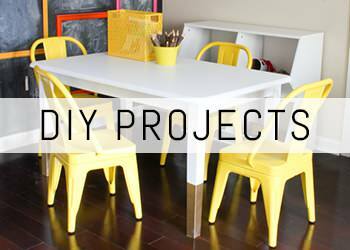 They will also range from items we’ve found while thrifting, to vintage hand me downs and curbside finds. The bottom line is we didn’t spend a lot of money on them. Sometimes I will be sharing a big item, and sometimes it will be very small. To kick things off, I thought I would share a special heirloom given to me by my dad. It actually originally came from my great-grandpa. 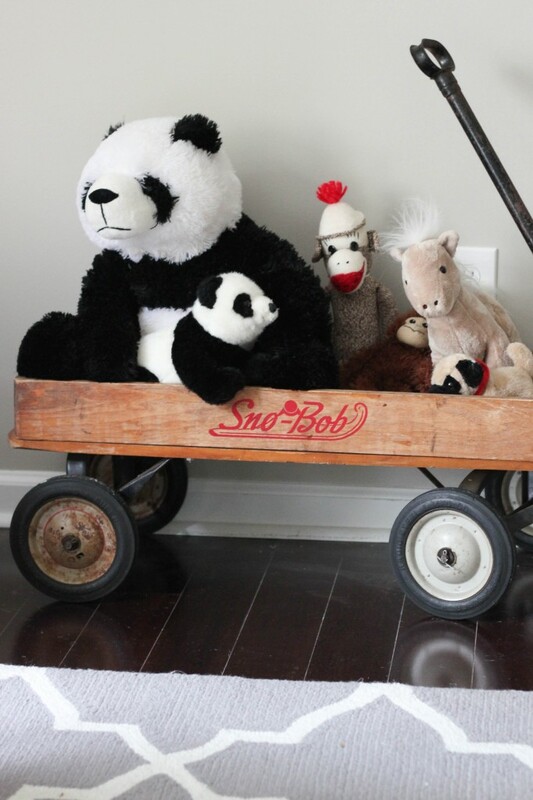 It’s this antique wagon, and it currently resides in Jonah’s nursery. The story behind the wagon is that my great-grandfather owned a car dealership, and apparently he used to give these wagons away to customers when they purchased a car. It could somehow also transform into a sled. It’s a treasure to have items like this that have family history and can be passed down to future generations. I haven’t done a thing to it other than clean it up with some Murphy’s Oil Soap. It’s the perfect spot for Jonah’s stuffed animals to hang out. He loves to rearrange them and roll the wagon back and forth. Eventually I’ll probably reseal it with some Polyurethane, but I haven’t gotten around to it yet. I can’t believe they gave these away! My Dad was a car dealer for years and years. It’s a tough job. He is 81 and can still convince me of anything. lol I bet the boys have had a few sneaks on this! 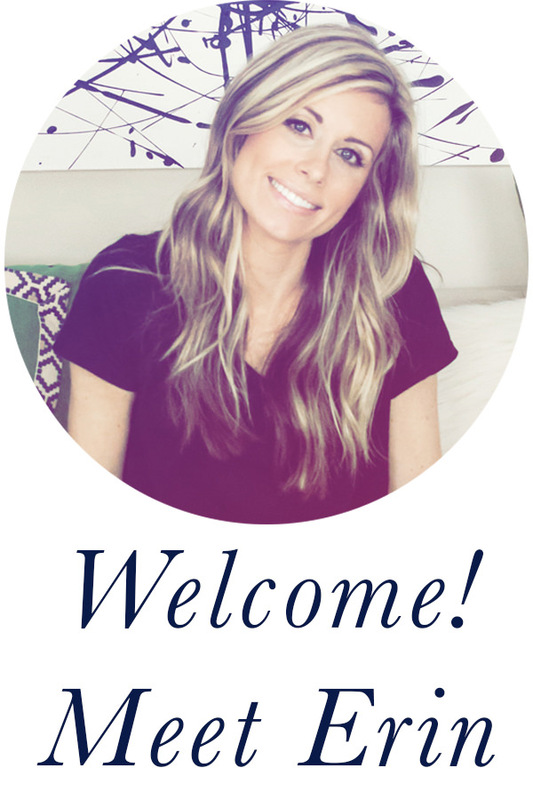 Thanks for joining our team, Erin! Thank you, Julie! My family has 3 generations of car dealers. My great grandpa, then my grandpa, and now my uncle. The biz has stayed in the family all these years. (Small town Indiana.) I love that they gave away wagons too! Loving that this is a family treasure…and it’s absolutely PERFECT, too!! 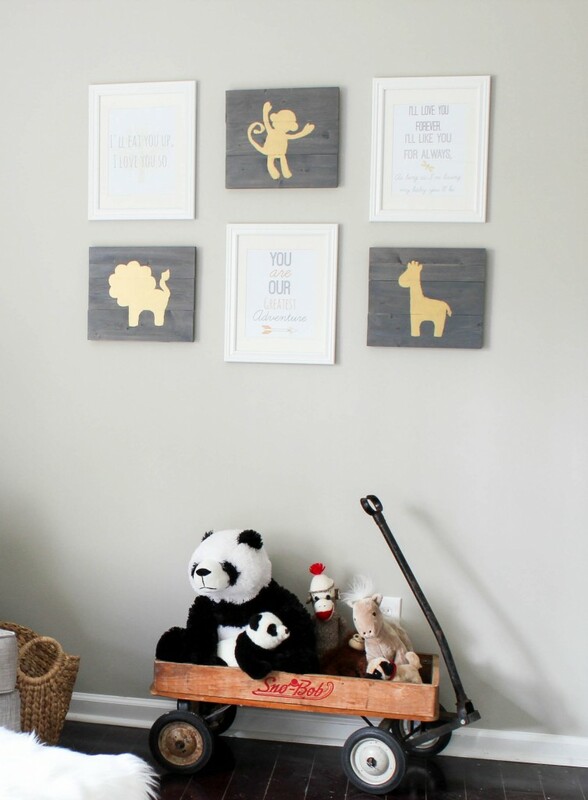 So sweet that it’s in your little one’s nursery.